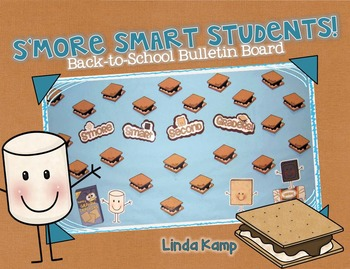 Need a quick and easy back-to-school bulletin board display? This one couldn't be easier! Simply print, trim and you're all set to staple! Includes everything you need for a Kindergarten through Fifth grade back to school display or a non grade specific display. In both color and black & white. Enjoy! Click here for all of my Back to School resources! Happy teaching and thanks so much for visiting my store!